The World Bank Group’s engagement on the development of an innovative Hybrid Annuity Model won the World Bank’s Sustainable Development Vice President’s Award in June 2018. The model supports financing and sustainable operations & maintenance (O&M) of wastewater treatment plants in the Ganga basin with private sector participation. The engagement involved collaboration across World Bank, IFC and 2030WRG, taking the model from concept to implementation. Under this initiative, the 2030WRG has played a critical role in changing the mindsets of government leaders towards the role that private sector can play through pioneering PPP transaction models. For a long time, public sector programs have failed to deliver the required impacts for Ganga rejuvenation. As a paradigm shift, the government is inviting private sector to deliver performance assurances for municipal wastewater treatment through innovative Public Private Partnership (PPP) mechanisms. 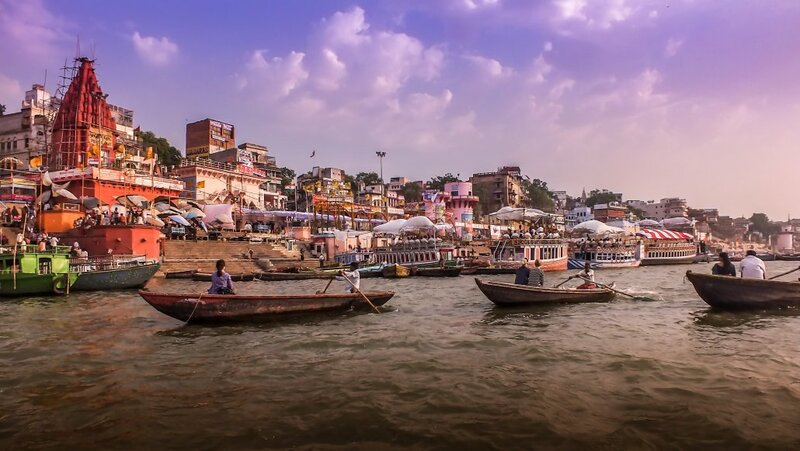 In 2015, the 2030 WRG started collaborating with the Ministry of Water Resources, River Development, and Ganga Rejuvenation (MOWR) in India to develop partnerships with the private sector and civil society for wastewater solutions in the Ganga basin. The 2030 WRG initiated a PPP demonstration project for the cities of Mathura-Vrindavan through multi-stakeholder discussions and pre-feasibility studies to assess the project scope, partnership approaches, and hybrid annuity-based PPP options for the development of sewage treatment and reuse infrastructure. Additionally, it supported stakeholder consultations on circular economy solutions, particularly with the local refinery for reuse of treated wastewater, as well as alignment amongst different levels of government, namely central government, state government and the municipality. These catalytic efforts, supporting a shift in mindset of key government decision-makers towards PPP solutions, along with parallel engagements of the World Bank Group, resulted in the government retaining the IFC in early 2017 as Transaction Advisors for the first three PPPs (Mathura, Varanasi and Haridwar) under the national flagship Clean Ganga program. The advisory team launched a competitive bidding process with the final funding structure, balancing public and market risks, which resulted in strong market response and multiple bids. The government signed the first two concession agreements with private sector companies in October 2017, with the third one inked in June 2018. Under the chosen Hybrid Annuity model*, the government pays 40 percent of the project cost linked to construction milestones. The remaining 60 percent is paid over 15 years as annuities to the private concessionaire along with operation and maintenance expense. In addition to enhancing project viability for the concessionaire, the performance-linked payments ensure longevity of wastewater assets. As the first PPPs in this sector, these projects represent a significant paradigm shift towards sustainable, PPP-based wastewater treatment business models in India. Building upon the momentum and the consensus created, the government has sanctioned additional PPP projects in the Ganges basin, leveraging the existing US$1 billion World Bank loan to mobilize private capital. Under its MOU with MOWR, 2030WRG has also supported water accounting frameworks to prioritize water efficiency and wastewater treatment and reuse, triggering a move from a linear to a circular economy. The Ganga basin, which covers more than a quarter of India’s land, is home to 450 million people. Population growth and rapid urbanization have placed unprecedented stress on water resources, leading to seasonal water shortages and water pollution. Estimates suggest that 8,000 million liters per day of untreated wastewater flows directly into the River Ganga. *A hybrid annuity is a type of insurance contract that allows investors to allocate funds to fixed-rate and variable annuity components as part of the same investment vehicle. Most hybrid annuities allow investors to choose how they want to allocate assets. *An annuity is a financial contract written by an insurance company that provides for a series of guaranteed payments, either for a specific period of time or for the lifetime of one or more individuals.